I've spent the last five or six years retouching manga, both as a professional and non-professional. what few people know, though, was that i've drawn comics, as well...albiet years ago. specifically between the years of 1988 and 1992, i was drawing a comic for a "Doctor Who" fanzine called "The Doctor Who Information Society", or DWIS. 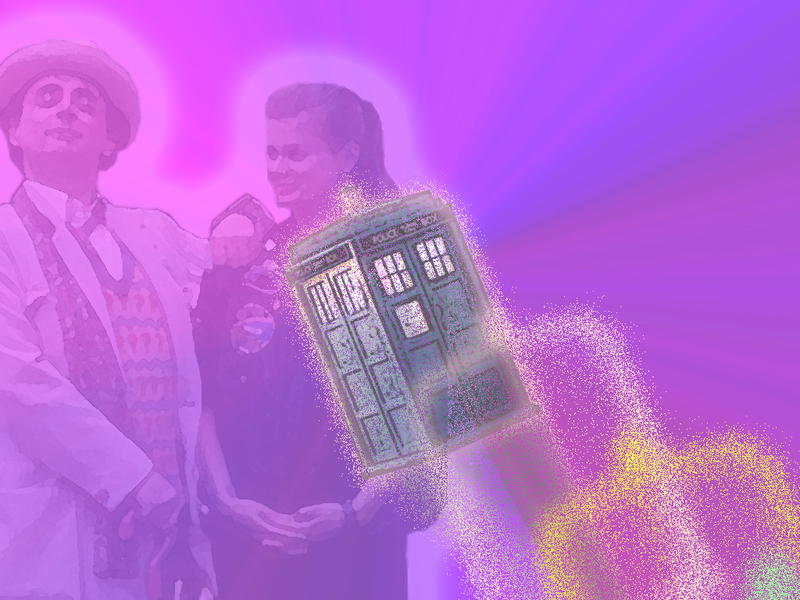 and now, for the first time, our comic, "Doctor Who: Retirement?" is being made available to the general public thanks to the magic of the World Wide Web. i might as well start with the usual self-depricating comments...my drawing style is certainly not what comic afficionados would term as "professional". true, i did get "better" (relative term, that) as time went on, but the early stories were very derivative of "Love and Rockets" co-creator, Jaime Hernandez. basically what i'm saying is: don't expect to be "wowed" by the artwork. But L. J. Scott's story is excellent, especially if you're a fan of "Doctor Who". Part 1: "The Hunt of the Scavangers!" Part 2: "Pressed For Time In Jabberwhovy"
Part 6: "Something Wicket This Way Comes!" Part 7: "The Crushing Blow!" Part 8 (intro): "Just Who The Heck Everyone Is!" Part 8: "That's The Tickette!" Part 10 (omake): "Grim Tidings"
Part 11: "The Master Plan"
Part 12: "Tending The Flock..."
Part 13 (a): "Conjured Visions I"
Part 13 (b): "Conjured Visions II"